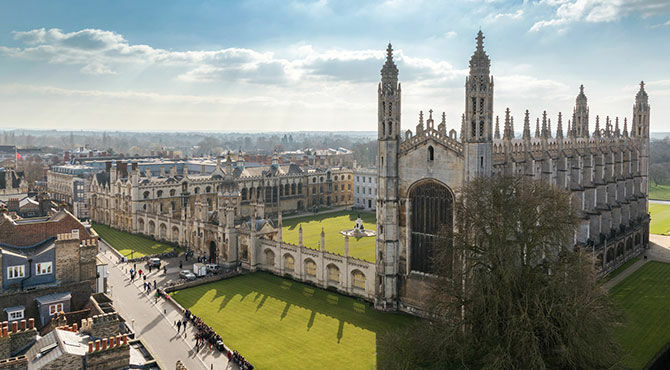 University of Cambridge is pleased to invite applicants to apply for a PhD position in biotechnology. The funds for this position are available for 4 years. The deadline to apply is November 18, 2018. Applications are invited for a fully-funded 3.5 year PhD studentship under the supervision of Prof. Markus Kraft. The successful applicant will be based in the Department of Chemical Engineering and Biotechnology in Cambridge, UK for the first year of the project. The next two years will be spent at Cambridge CARES in Singapore (http://www.cares.cam.ac.uk). The remainder of the project will be spent in Cambridge, UK. We are looking for an outstanding student who is interested in working on a modelling project to develop and apply state-of-the-art computational tools to model the formation of titanium dioxide nanoparticles. The project will solve detailed mathematical models using stochastic numerical methods to investigate phenomena including the chemical reactions, collision and growth of particles in the reactor. The project will require the student to develop further both the model and the numerical methods used to solve the model on a High Performance Computing cluster. The project would suit a student with strong mathematical, numerical and programming skills. The project will run alongside an experimental studentship that will provide insights to inform the development of the model. The Computational Modelling Group has considerable expertise and a proven track record of success in these areas, and the successful applicant will benefit from the support of an experienced supervisor and research team. 2) At least 4 years of study at University level and a high 2:1 or equivalent degree in a relevant discipline such as mechanical or chemical engineering, physics, chemistry, mathematics, or scientific computing. Please note that the funding is only able to cover fees at the Home/EU rate. Applications must be made online via the University Applicant Portal (see https://www.graduate.study.cam.ac.uk/) by 18 November 2018. Please note that there is an application fee. As part of your ‘Statement of Research Interest’ you must state that you are applying for studentship NQ17029 with Prof Kraft. Please note that this studentship was advertised previously. Unsuccessful applicants are respectfully asked not to reapply unless there has been a material change in their application. Further information about the Computational Modelling Group can be found at http://como.cheng.cam.ac.uk.